Gonzalez-Torres grew up in Puerto Rico before moving to New York City. He had his first one-man exhibition of his early text pieces in 1988 at the Rastovsky Gallery (560 Broadway) in Soho. His work was the focus of several major museum solo exhibitions in his lifetime and after his death. 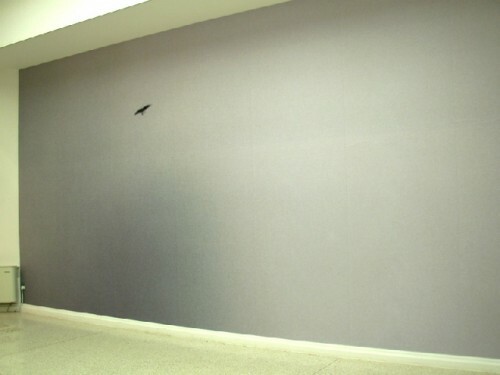 Gonzalez-Torres was known for his quiet, minimal installations and sculptures. Using materials such as strings of lightbulbs, clocks, stacks of paper, or packaged hard candies, Felix Gonzalez-Torres’s work is sometimes considered a reflection of his experience with AIDS. He was also considered within his time to be a process artist due to the nature of his ‘removable’ installations by which the process is a key feature to the installation. Many of Gonzalez-Torres’s installations invite the viewer to take a piece of the work with them: a series of works allow viewers to take packaged candies from a pile in the corner of an exhibition space, while another series consists of stacks of ultrathin sheets of clear plastic or unlimited edition prints, also free for the viewer to take. Some of these installations are replenished by the exhibitor as they diminish. The most pervasive reading of Gonzalez-Torres’s work takes the processes his works undergo (lightbulbs expiring, piles of candies dispersing, etc.) as metaphor for the process of dying. Other readings include the issue of Public versus Private, Identity, and participation in contemporary art. 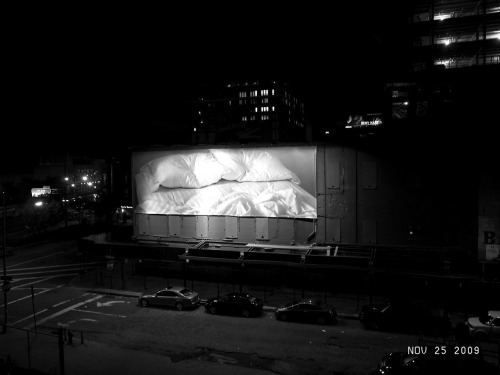 One of his most recognizable works, Untitled (1991) was a billboard installed in twenty-four locations throughout New York City of a monochrome photograph of an unoccupied bed, made after the death of his lover, Ross, to AIDS. Gonzalez-Torres died in 1996 due to AIDS related complications. 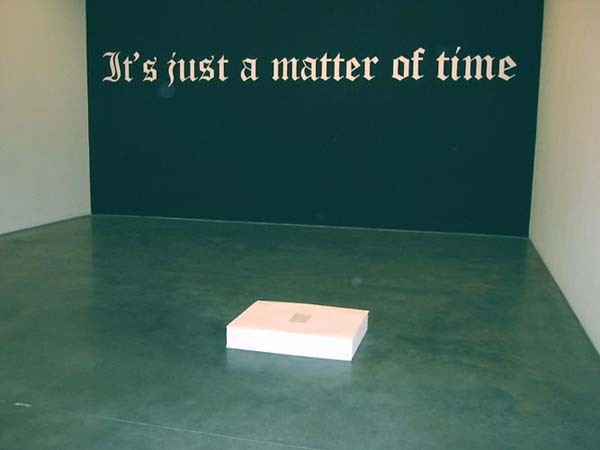 In May 2002, the Felix Gonzalez-Torres Foundation was created. In 2007, he was selected as the United States’ official representative at the Venice Biennale.